Iran will not accept any changes to the nuclear deal, a senior official insisted Saturday, after the United States said it was seeking a "supplemental" accord with European powers. "We will not accept any changes, any interpretation or new measure aimed at limiting" the 2015 deal between Iran and major powers, said Ali Shamkhani in remarks carried by ISNA news agency. 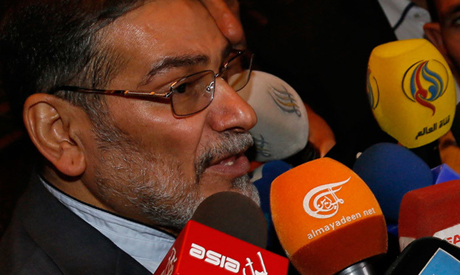 Shamkhani, secretary of the Supreme National Security Council, also warned European countries "against the temptation of playing at the same game as the Americans". On Friday senior US State Department official Brian Hook said that President Donald Trump wanted to reach a "supplemental" deal with the European signatories to the Iran nuclear deal. Trump said in January that the nuclear deal must be "fixed" by May 12 or the United States will walk away. Shamkhani made the remarks as he met Saturday in Tehran with Yusuf bin Alawi, the minister responsible for foreign affairs in Oman, a key Gulf ally of the US with close ties to Iran.